For most runners, the finish line of the New York City Marathon is the end of an arduous journey. For Gianclaudio P. Marengo, it was just the beginning of a two-day ordeal that ended on Tuesday morning when he was found by an off-duty police officer on the subway — disheveled, confused and still in his running gear. His race started like thousands of others, on Sunday, in the predawn hours on Staten Island. 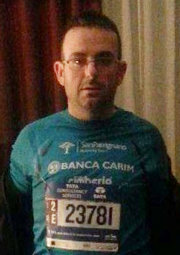 Mr. Marengo, 30, does not speak English and had never been to the city, but he was with a team of seven other runners from Italy and he had trained months for this day. “He is certainly a fragile, vulnerable and very emotional person who after years of drug dependency found the chance to recover in San Patrignano,” the center said in a statement. He carried a bag with a few essentials: a subway map, a card for his hotel in Queens and some food. At some point along the 26.2-mile course, Mr. Boschini said, Mr. Marengo reached into the bag for a bite to eat. For a long stretch he ran with a partner, but Mr. Boschini said that Mr. Marengo was the least athletic of his group and by the time he crossed the finish line in Central Park, he was alone. Officials for New York Road Runners, which organizes the race, said that the person wearing No. 23781 finished the race in 4 hours 44 minutes 27 seconds. Mr. Marengo looked for his friends, Mr. Boschini said, but could not find them. Then he looked in his bag. Somewhere along the course, perhaps when he pulled out the food, he had dropped both his hotel card and his subway map. After a few hours, the other Italians realized something was wrong. “We went to the park but we did not find him,” Mr. Boschini said. When he did not show up for a dinner reservation, the group called the Italian Consulate. The consulate called the police. “He spent the night in the park,” Mr. Boschini said. The Italians were scheduled to fly out of the city on Monday morning so, Mr. Marengo went to Kennedy International Airport to catch the rest of the group. By then, it was late on Monday and Mr. Marengo had nowhere to go. He boarded the subway still outfitted for the race. While many runners, medals dangling around their necks and blue capes draped across their backs, could be seen around the city for hours after the race, by Monday night Mr. Marengo was looking a bit out of place. 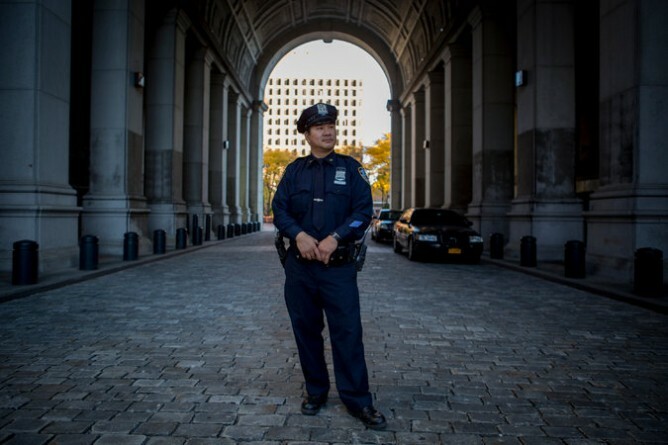 On Tuesday morning, Officer Man Yam, 43, boarded the No. 2 train, heading for work in Lower Manhattan. He was reading a Daily News article about a missing runner on his phone, when he lost reception as the train reached the 34th Street-Penn Station stop around 6:40 a.m. Officer Yam identified himself and showed his departmental identification, saying “police” in Spanish. He asked the man if he minded coming with him. The man nodded. They got up to the street and Officer Yam bought him a glazed white doughnut with coffee for $3. He confirmed he had Mr. Marengo by pulling the photo from the newspaper’s website. The Italian Consulate said that, aside from minor dehydration, Mr. Marengo was in good health. On Tuesday night, Mr. Boschini went to the hospital to pick his friend up. Together, the two were scheduled to fly back to Italy, the marathon finally over.